Of course, these are still very early days. The launch has not yet confirmed, Tesla has none of the direct to market outlets in Australia yet that it prefers to use to sell its units, and even when the Model S does launch, you can expect it to sell at a premium and in limited availability. Plus, there are none of the so-called ‘supercharger’ terminals in Australia that Tesla has deployed in the US, meaning it will be difficult to use the Model S on long drives in our vast continent. However, this is still exciting news. Electric cars are awesome, and Tesla electric cars are the most awesome of the awesome. It’s great to see these early moves and I look forward to several sightings of cashed up tech sector luminaries (I’m looking at you, Matt Barrie) driving Tesla Model S units around town soon. Nice. It would also be good if Tesla founder and all-round Tony Stark lookalike Elon Musk could make a trip down under to launch the range. Now that would make us feel all special. I can’t afford a Tesla, but if anyone has a competition to win one I’ll be entering it a few thousand times. Tesla has a policy of pricing by cost & currency only- so it should be reasonable. Some leaked info a few weeks ago suggested about $70k starting price but I guess we’ll see! AUD$70k is too low. The base model is selling in the USA for USD$70k, excluding US federal tax credits. That is ~AUD$74.5k. The base model is GBP£50k in the UK, which is ~AUD$89k. Add $5k freight and localisation. Then there is luxury car tax, which cuts in on amounts over about $75k for fuel efficient vehicles. 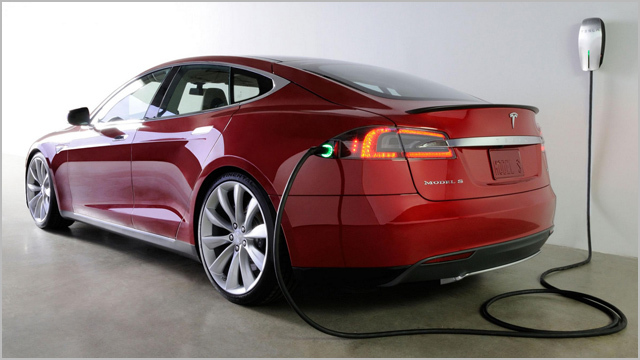 So, a bottom barrel model S for under $100k, if your lucky. Plus rego of about $4k in WA at that price range. Is the steering wheel on the proper side? yes, they are doing from-factory LHD and RHD versions; which pleased me no end to see. just about all the images out atm are LHD shots tho, hopefully that changes soon. this car – well i read the Ars Tech article on it and it was an immediate money-no-object-i’ll-have-one-thanks response. i imagine after passing VSSB theres not a whole lot to do to get it on the sales floor; looking forward to seeing one in the flesh. If the steering wheel wasn’t on the “correct” side, the car wouldn’t be allowed on our roads. Funny, how I recently saw a Ford on the road with a big sign on the back, indicating that it was Test vehicle, AND it was a Left hand drive. I regularly see LHD cars around and about in my daily commute. Not that uncommon at all. Some are obviously test vehicles, others are imports. Besides, it’s no more or less difficult to drive a car sitting on the left hand side, it’s just different. On the electric car topic, the BMW i3 has had it’s list price and launch date announced. Starting at $64k, out in November. Great to see more competition, I wish it had more subtle styling though.